Every day, new hijab styles arise from nowhere, that's why you should quickly adapt. In order to help you, Modern Hijab presents to you the hijab outfit of the day (Hijab OOTD), carefully selected among several models and designs appeared in 2015, the first main advantage is that it fits perfectly with this winter (you should no anymore suffer the cold while walking with your hijab dress), also, our hijab outfit of the day (OOTD) is featured without neglecting the stylish and elegant side of the hijab outfit, in fact, we're keeping in mind that this is the most important element when it come's to a Hijab Fashion dress. 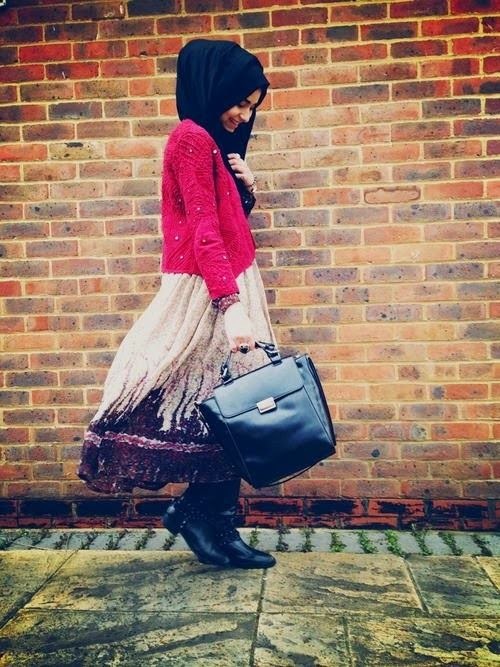 So get inspired by the hijab outfit of the day (OOTD).